The capital's newest sweet treat. The idea of a summer bod is a made up thing anyway. Thank god, because your new late night vice has just arrived on the scene: Glazed, a full-service doughnut dessert delivery service. A Glazed box is the city's newest sweet treat — with different flavours and fillings, nestled into piles of candy (or bottles of kombucha or Möet, depending on which box you choose), saucy syringes and miniature jars of Nutella, a sugar rush is a non-negotiable. With names like John Dough, Just Dough it! and I Dough, Glazed has a box of tricks for any occasion. If the thought of deep fried carbs makes you bloat just thinking about it, Dough Free is the gluten-free option ($69), and Dough'lce, you banana ($55) caters for vegan dough lovers. The boxes range in price from $39 to $96, depending on how far you want to push the boat out. Needing a last minute proposal method? Pick up an I Dough and nestle a diamond in amongst the luxe white palette and bottles of Möet and Garage Project. 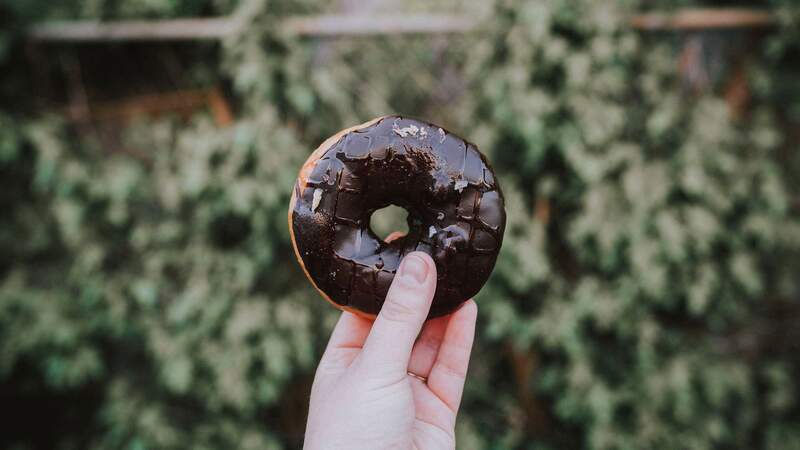 Glazed go hard on the doughnut catering front, too — you can engage them (POA) to execute the wildest doughnut wall you've ever seen, or a doughnut grazing table, or a doughnut tower, or a doughnut station. Anything can be madoughver to be doughnut themed if you've got the stamina to stomach it. Perhaps the easiest thing about ordering a Glazed box is the ability to have it delivered to your doorstep, wherever your doorstep happens to be — Wellington, The Hutt, even Palmy. It's dangerous. But also a must-dough, at least once. For more information about Glazed, visit glazed.co.nz.